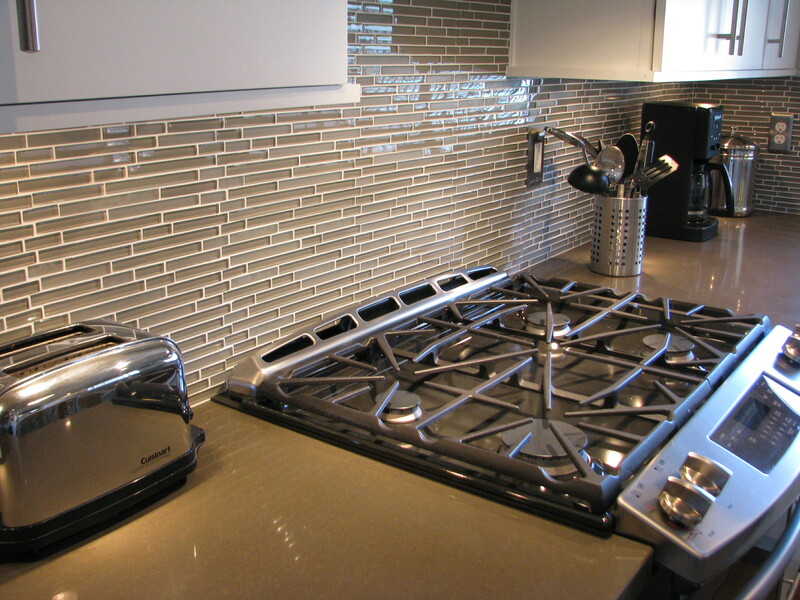 A backsplash can be defined as a panel behind a sink or stove that protects the wall from splashes. 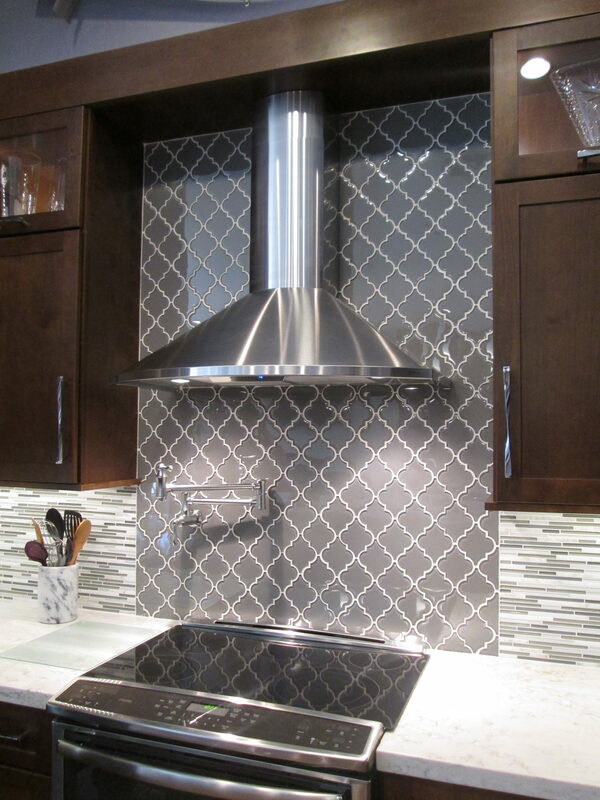 Although simply defined, here at Tri-Lite Builders backsplashes are far from plain and simple. 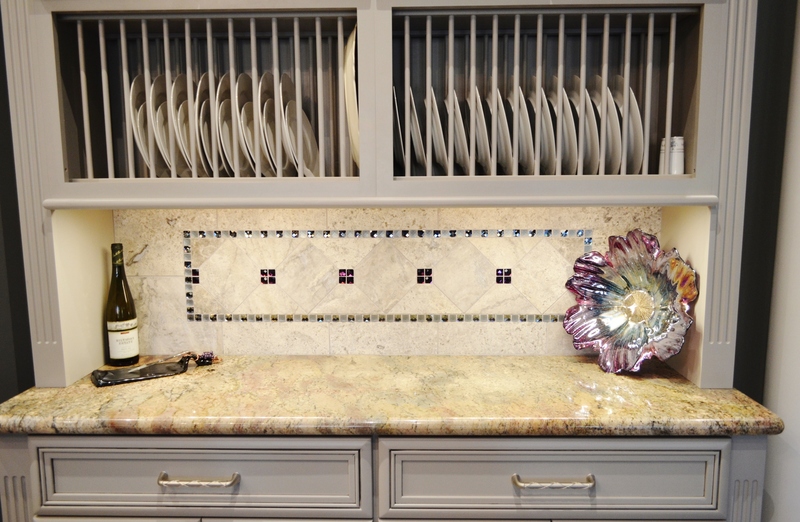 A creatively designed backsplash can transform your kitchen – leaving all of your dinner guests in amazement. Take a look at some of our all time favorites! Handmade Mosaic of Emperador Dark, Crema Marfil, and Rojo Alicante Marble come together to create this marvelous view. The warm colors of the backsplash, granite countertops, and Cherry Chocolate cabinets make a bold statement sure to leave guests in awe. This Multi-color glass mosaic backsplash made of 1×2 subway tile complements the deep espresso color of the cabinets and the orange highlights of the Quartz counters. Pure Wool Mix Glass Mosaic accents the look of this Mid-Century Modern Kitchen. The linear shape and long lines give this kitchen a bright, clean look. Silver Travertine with Amethyst and Silver glass jewels add just the right amount of sparkle to this Elegant Gray Transitional Kitchen. The vein was our inspiration. 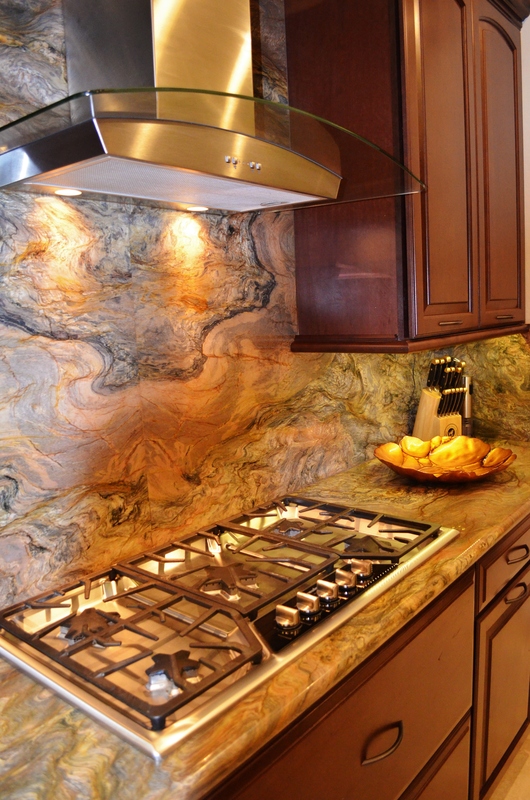 Two book matched slabs of Mardi Gras Quartzite create this breathtaking backsplash. We could stare at it for days! Warm Gray Never Looked so Cool! The Fleur-Gray Arabesque glass tile immediately draws attention to the stove top, inviting you to appreciate all of the details. 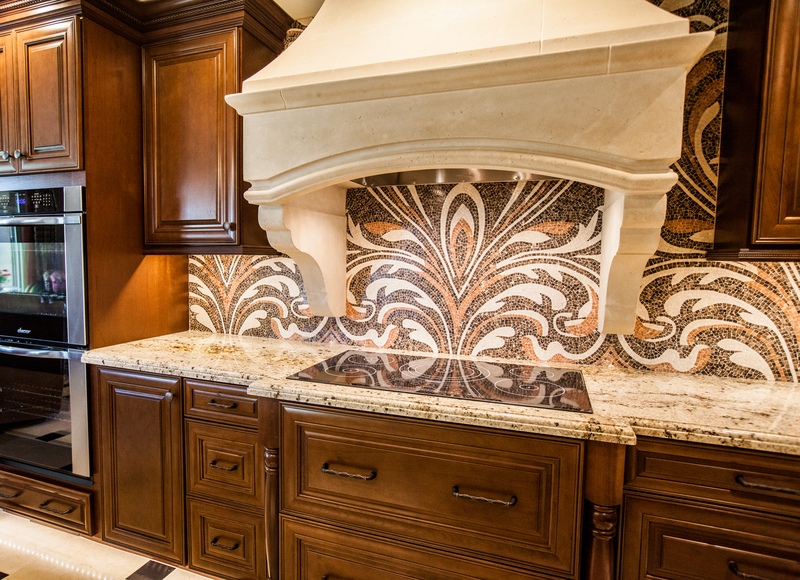 Mixed-Stone and Glass Linear Mosaic backsplash along with a Quartz countertop made to resemble marble add brightness against the Cherry Bordeaux cabinets. 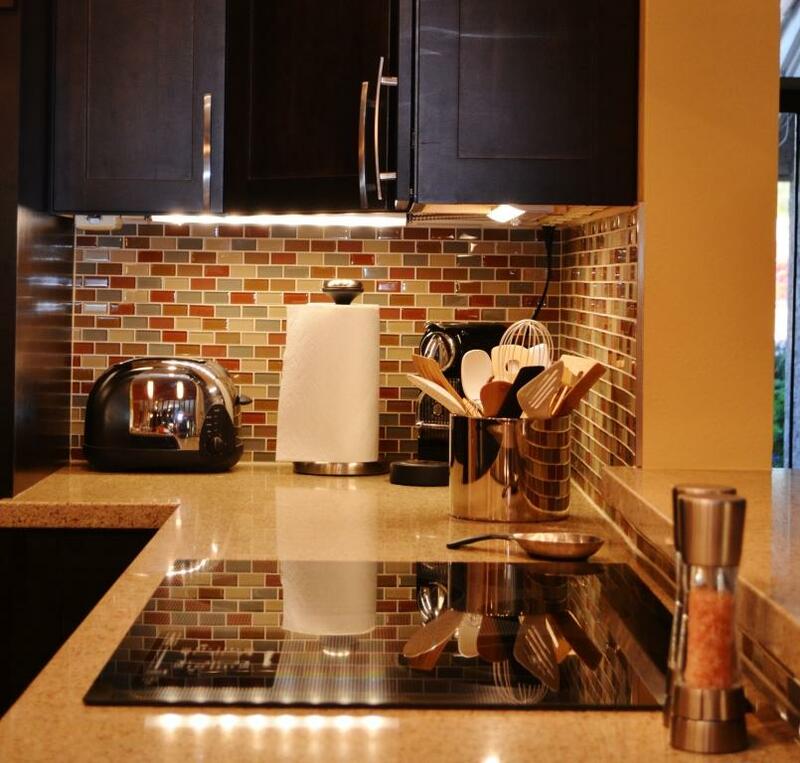 A backsplash adds color and personality to your kitchen. You can choose to use anything from traditional tile to rustic wood – the options are endless! Are you ready to take the next step in creating your dream kitchen? Our NARI Certified Designers want to help!